The end of the school year is near and this adorable gift will make any teacher or special helper in your little ones life smile. Maxwell sure loved helping make them and when he gave this gift to his special helpers he had the sweetest smile on his face. Moments where I see my little guy feel proud melt my heart. Toddlers typically like to take everything and say “MINE” so giving can be a very difficult task. Seeing Maxwell feel joy and not have a complete melt down that the gift was being taken from him is a huge sign that he is growing up, way to fast of course! My heart is proud to watch him grow into such a sweet little guy, but also sad wanting to slow every moment down as much as possible. If you have never made a flower pen before I urge you to. The pen is so simple to make and for some reason I find writing with a flower pen makes me happier than a plain old boring one. I currently have a few extra pens sitting on my kitchen counter and I must say I feel like they will not get “misplaced” as easily as other pens. So whether your looking for a beautiful gift to make or just a way to keep pen thief’s away this craft is perfect. You child’s picture as one of the flowers. 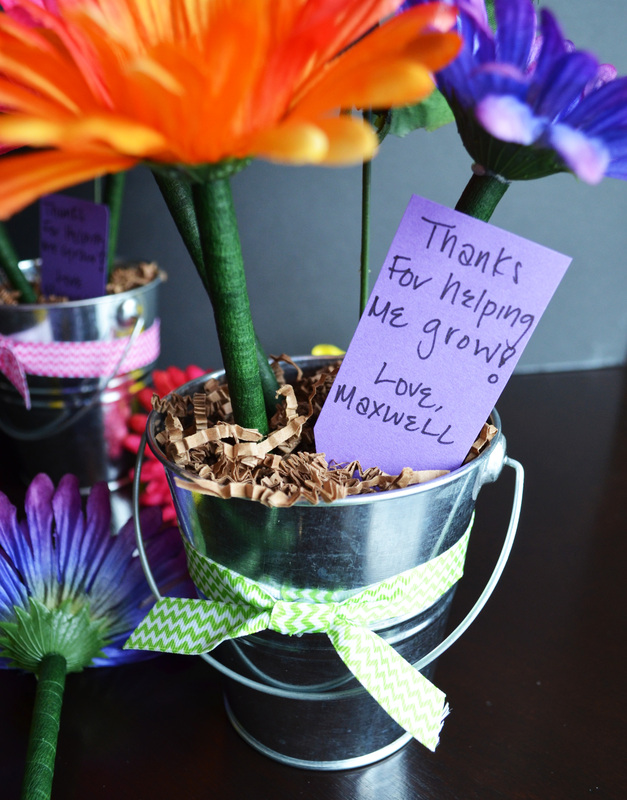 In place of flower informational tags place a personal message, thanking that special someone for helping your little one grow! 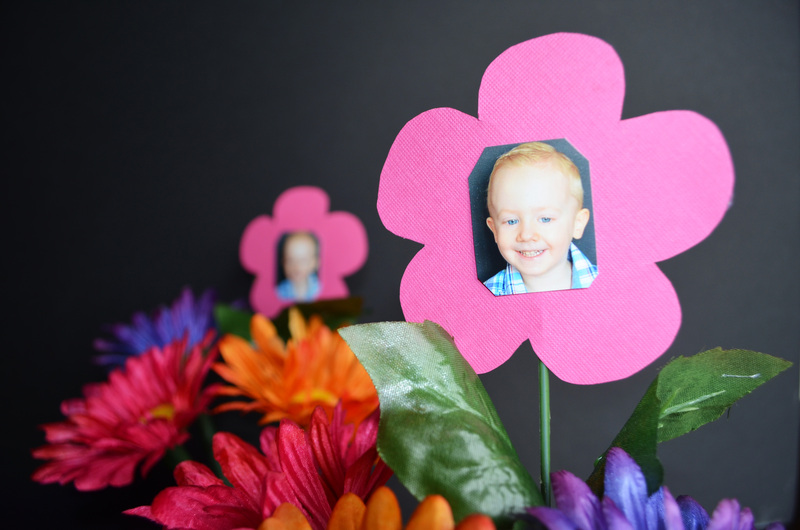 Cut out your flower tag from craft paper and write cute saying "Thanks for helping me grow"